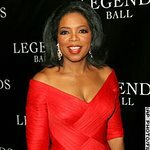 The Trevor Project's mission to stop suicide in LGBT (Lesbian, Gay, Bisexual and Transgender) youth will benefit from two star-studded events this weekend. 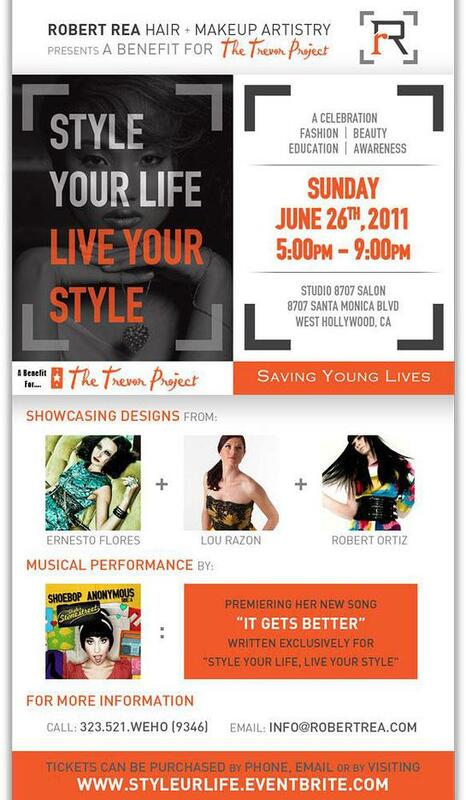 On Sunday, June 26, “Style Your Life, Live Your Style” will celebrate the lives that have been saved by the Trevor Project and the It Gets Better campaign through fashion, music, and cocktails. At this time confirmed attendees include Max Adler, (Glee); Tanya Chisholm, (Nickelodeon); Tamra Barney, (Real Housewives of Orange County); Valery Ortiz, (On the Up and South of Nowhere), Skyler Stonestreet, (Pop Artist); David Collins, Producer; and various other agents, producers, directors and designers. The event takes place from 5:00-9:00pm at the 8707 Salon in West Hollywood, California. Find out more from the flyer below. Then, on Monday June 27, Harry Potter star Daniel Radcliffe will receive the Trevor Hero Award at Trevor Live in NYC, an evening of irreverent comedy, music and awards in support of the life-saving work of The Trevor Project. Expected to attend the event are Robin Williams, Kelly Ripa, Amy Poehler, Janeane Garofalo, Mark Consuelos, Don Lemon, Brad Goreski and Johnny Weir. Trevor Live takes place at Capitale NYC, and more information can be found here.